SYNOPSIS: After her father’s sudden death, fifteen-year-old Eleanor is quickly crowned Duchess of Aquitaine and betrothed to King Louis VII. When her new husband cannot pronounce her given name, Alienor becomes Eleanor, Queen of France. Although Louis is enamored of his bride, the newly crowned king is easily manipulated by the church and a God that Eleanor doesn’t believe in. Now, if she can find the strength to fight for what she wants, Eleanor may finally find the passion she has longed for, and the means to fulfill her legacy as Queen. SYNOPSIS: Born into a first family of Ireland, with royal ties on both sides, Elizabeth Fitzgerald—known as Gera—finds her world overturned when Henry VIII imprisons her father, the Earl of Kildare, and brutally destroys her family. Torn from the home she loves, her remaining family scattered, Gera dares not deny the refuge offered her in England’s glittering royal court. There she must navigate ever-shifting alliances even as she nurtures her secret desire for revenge. 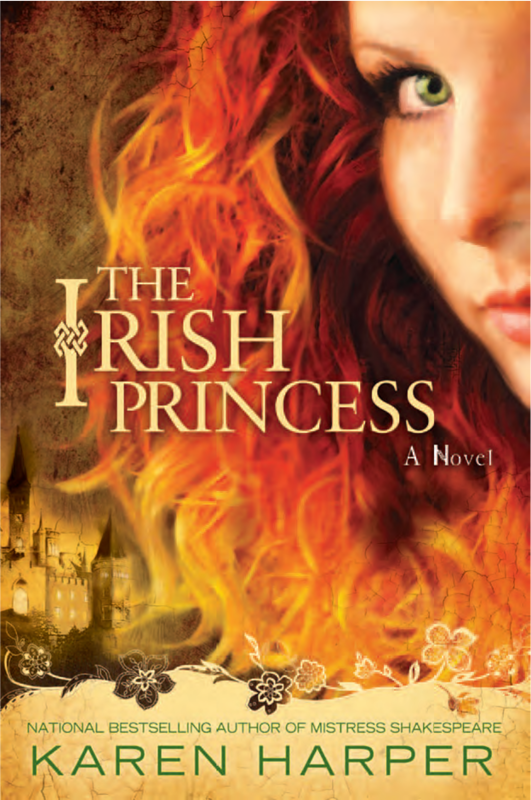 From County Kildare’s lush green fields to London’s rough-and-tumble streets and the royal court’s luxurious pageantry, The Irish Princess follows the journey of a daring woman whose will cannot be tamed, and who won’t be satisfied until she restores her family to its rightful place in Ireland. SYNOPSIS: In a city-state known for magnificence, where love affairs and conspiracies play out amidst brilliant painters, poets and musicians, the powerful and ambitious Alfonso d’Este, duke of Ferrara, takes a new bride. Half of Europe is certain he murdered his first wife, Lucrezia, the luminous child of the Medici. But no one dares accuse him, and no one has proof—least of all his second duchess, the far less beautiful but delightfully clever Barbara of Austria. At first determined to ignore the rumors about her new husband, Barbara embraces the pleasures of the Ferrarese court. Yet wherever she turns she hears whispers of the first duchess’s wayward life and mysterious death. Barbara asks questions—a dangerous mistake for a duchess of Ferrara. Suddenly, to save her own life, Barbara has no choice but to risk the duke’s terrifying displeasure and discover the truth of Lucrezia’s death—or she will share her fate. I am a sucker for anything Irish or Welsh so, I am going for The Irish Princess!!! I love Katerine of Aragon and Haeger, so I guess The Queen's Rival stands out. I love your post title..I am saving my coins. Ha! All of them, but particularly Eleanor of Aquitaine! After Weir's fabulous bio, I've turned into a total Eleanor fangirl! All of them Amy, but Irish Princess just jumped of the screen at me....thanks for the great update!!! I have to get these books now that you brought them to my attention. I wish I had a book budget again. I will be putting them all on my list. You are a terrible influence Amy! To Be Queen sounds like it might be quite good. So does The Second Duchess. And usually, I don't like Renaissance themed material and I'm ambivalent about Eleanor of Aquitaine. Even now, there are incredibly diverging opinions about her. I *love* the cover for The Second Duchess - no headless woman! Yes, I want them all. Never mind that I won't read them until 2013. I want them now. The Queen's Rival looks great! I've always been intrigued by Henry VIII and cannot read enough books about him! I'm tempted to say here, please spare us readers from more Tudor! (lol). Yeah, I know, lots of readers like Tudor. However, I think there's just way too much of it! Ugggh, it's always dangerous to come here. lol. Of course it's dangerous! That's why it's so much fun!